At first companion planting may seem like an odd idea. However if you consider how plants grow in nature, there’s never sections of just one species. There’s always a mix of species with different niches and ecological functions. While scientists have really just skimmed the surface studying the interactions between plants we do know that many plants have beneficial relationships and that applies to garden plants too! That’s why when we plant monoculture sections of crops we’re setting ourselves up for less healthy and productive gardens. 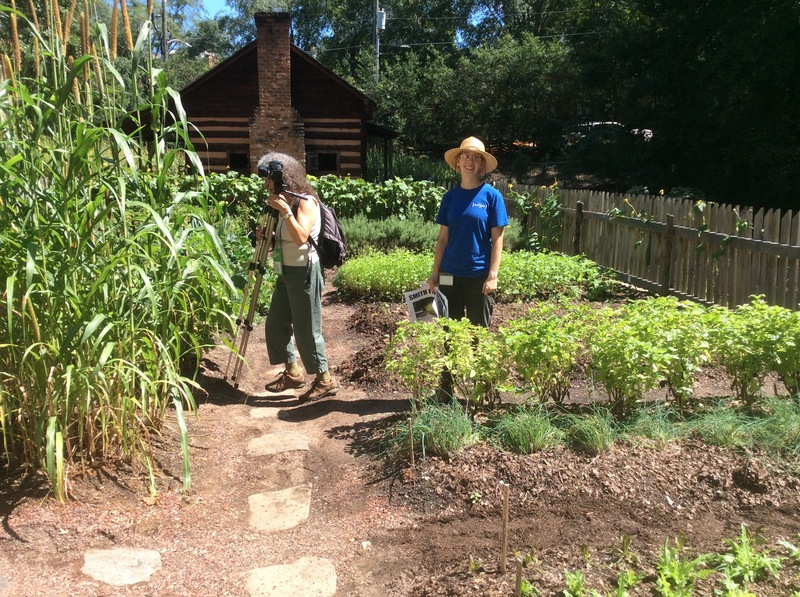 Companion planting is one of the easiest ways to mimic a natural ecosystem more closely. There are many benefits you’ll see in your garden if you use companion planting this year. The list below contains some of those benefits and easy ways to achieve them in your home garden. It’s perfect for people trying to make the most of their small gardens. A common way to use companion planting to save space is by planting a vining plant under a taller one. It uses space that would otherwise stay empty or fill up with weeds. Another method is to plant quick growing crops in between rows of slower growing crops. My favorite two plants to tuck in around our garden are radishes and green onions. They can be stuck in just about anywhere and harvested before the other crops start to fill up that space. It keeps soil moist and helps prevent erosion. Not having large spaces of open soil not only allows you to grow more plants but helps hold the soil and keep it moist. 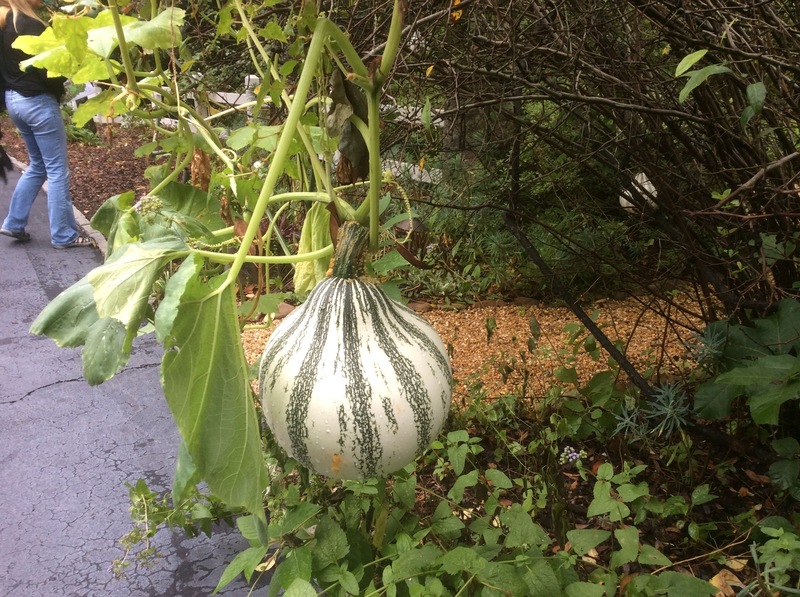 Vining plants like squash and cucumbers are especially useful for shading the soil. In a time where droughts have become a real problem in much of the United States this is perhaps one of the most important aspects of companion planting. The same way that having soil covered in plants hold water it also blocks weed growth. 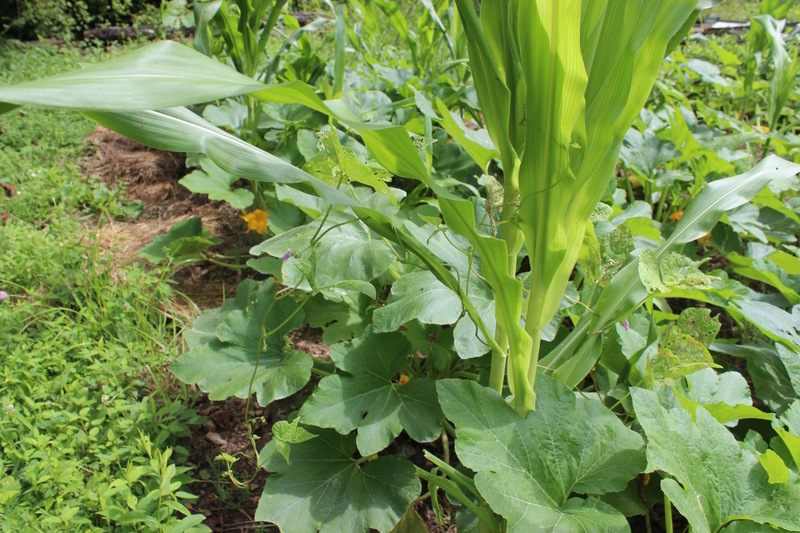 In the well known Native American method, the three sisters garden, vining squash is grown beneath corn and beans to shade the soil and prevent weeds from growing. Companion planting can decrease pest issues. When you ditch the conventional monoculture garden layout it will be harder for pests to destroy your crops. They won’t find a solid patch of their favorite food. Some plants even deter certain pests. For example, wormwood can be planted among cabbage and other brassicas to help deter cabbage moths and marigold can be planted with beans to deter Mexican bean beetles. Companion planting can help with disease issues. Just like with dense gatherings of people disease is spread more quickly through your garden when plants of the same type are all in one big group. Adding different species to a planting can help break up your garden and slow the spread of disease. As previously mentioned plant interactions aren’t fully understood but certain plants have been shown to make other plants healthier therefore lowering their susceptibility to disease. 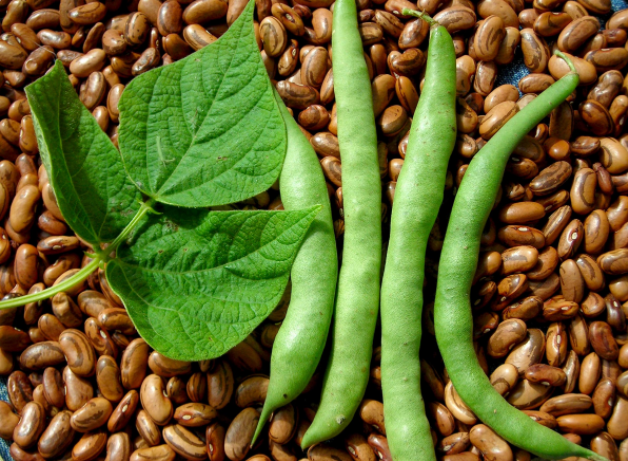 Good examples of this are beans in the three sisters garden method providing nitrogen for the corn and squash and growing basil with tomatoes which many people believe makes for healthier tomatoes plants. 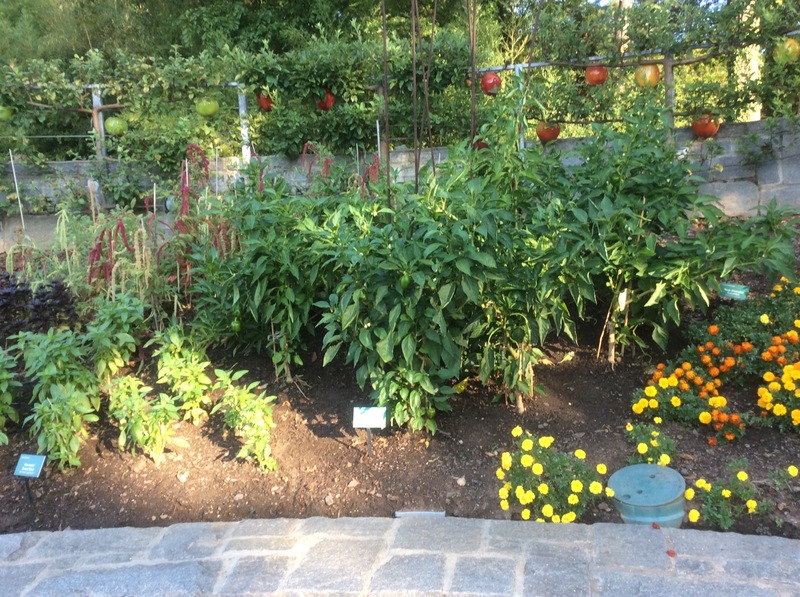 Companion planting can be used to attract pollinators and beneficial insects. Beneficial insects of all sort will be more likely to spend time in and travel throughout your garden if there’s plenty of habitat and food available. Throughout our garden we include patches of of flowers and flowering cover crops like clover, vetch, and buckwheat. It’s good to choose varieties that have extended bloom periods. Companion planting can eliminate the need for trellises. The most common living trellis is probably the corn which pole beans grow up in a three sisters garden. However there’s many other tall plants that are suitable for lightweight climbing plants including sunflowers, sorghum, Jerusalem artichokes, amaranth, and fruit and nut trees. Asparagus, Parsley, & Tomatoes: plant together for better harvests. Beans & Marigold: the marigold deters Mexican bean beetles. Cabbage & Buckwheat: the buckwheat attracts parasitic wasps that will kill cabbage worms. Carrots & Rosemary: the rosemary deter carrot flies. Lettuce & Chives: the chives can help deter aphids. Melon & Radishes: You’ll get two crops out of one bed as the radishes can be harvested before the melon plant spreads. Tomatoes & Basil: intercropping basil makes for healthier tomato plants. Radishes & Spinach: radishes attract leaf miners which don’t harm the radish bulbs but will destroy a spinach crop. Beets & Garlic: intercropping garlic improves the health of the beets. Peas & Fruit Trees: Peas can use the tree as a trellis and are so early they’ll be done before the tree shades them fully. 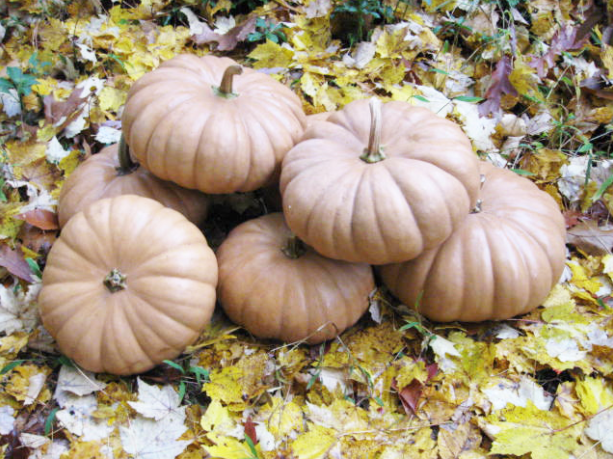 Squash & Borage: the borage deters harmful worms and improves the squash plant’s health. Nasturtiums and Cucumbers: nasturtiums add another edible to the same space and attracts beneficial insects. 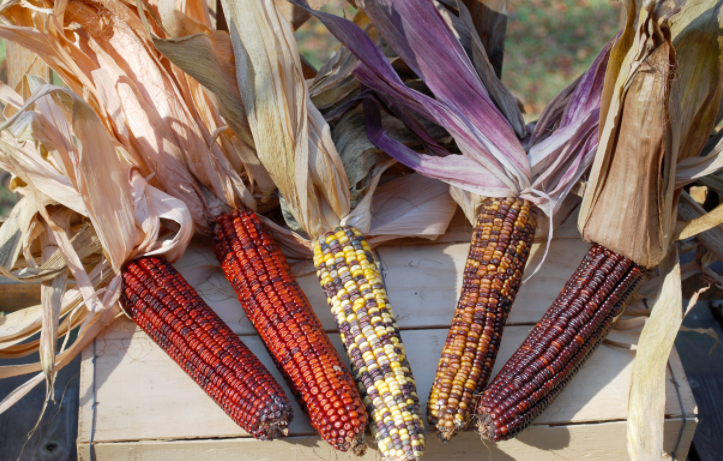 Corn, Pole Beans, & Squash: the corn provides a trellis for the beans which provide nitrogen for the corn and squash. The squash shades the ground beneath the beans and corn keeping soil moist, blocking weeds, and utilizing space. Check out the Three Sisters Garden Package! Using these examples and other plant relationships to your advantage can help you to achieve a productive and beautiful garden without resorting to conventional agricultural methods. Companion planting is one of the easiest ways to deter pests and present plant diseases organically. It’s abundance of benefits make it great choice for anyone looking to make the most of a small and/or sustainably focused garden. Have you tried companion planting? Comment and let us know!